Ah yeah! Someone needs to do TMNT Classics, and we need to get this baby re-done! 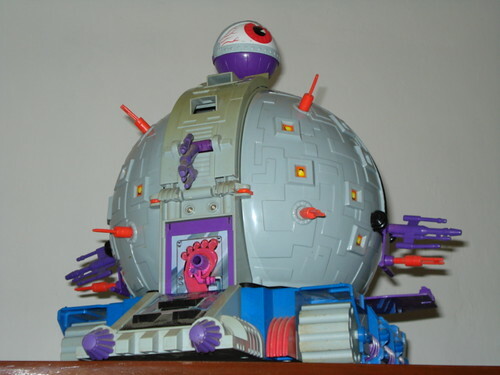 I am annoyed that I lost the big eyeball for my Technodrome (sitting in a closet back at the family home) about a decade ago. This was the first and best playset I ever owned. The only major flaw is that it could use two of those detachable walkways, instead of just the one it was packaged with. @ AJ: Guess what? I have no Technodrome…and one big eyeball. We should talk.